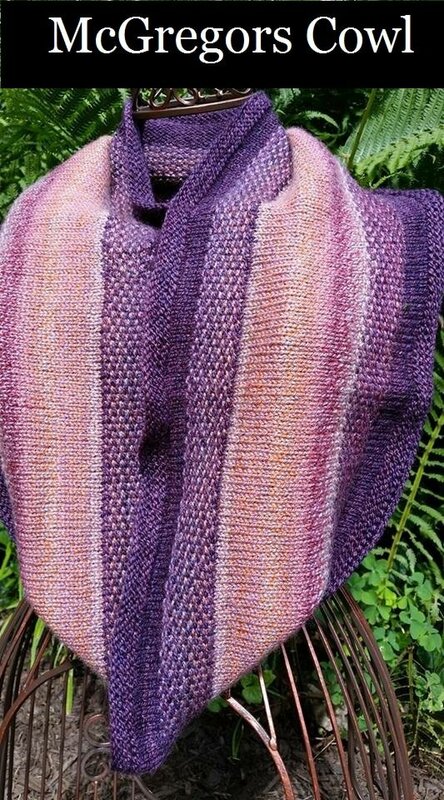 This cowl uses 1 skein of Entropy (260yards) and 1 skein of Milk and Honey or a DK weight yarn at 260 yards to pair. If you would like your Mc Gregor’s Cowl to be a traditional cowl you may use a US#6 circular and a US#7 for the linen stitch section but if you would like to have a larger cowl that you can wrap around your neck one time you might consider using a US#7 and a US#8 for the Linen stitch. This project is perfect if you would like an auto pilot knit for social occasions or just to keep your hands busy. The 2 sections of linen stitch is just enough to keep your interest without becoming tedious.